Thank you happy kamper! Awesome. A light up will happen this weekend! 1972 Form Tech reporting for duty!! We would like to have 1972 as our Syndicate No. I respectfully request #0244 as my Mil-Spec Syndicate number. 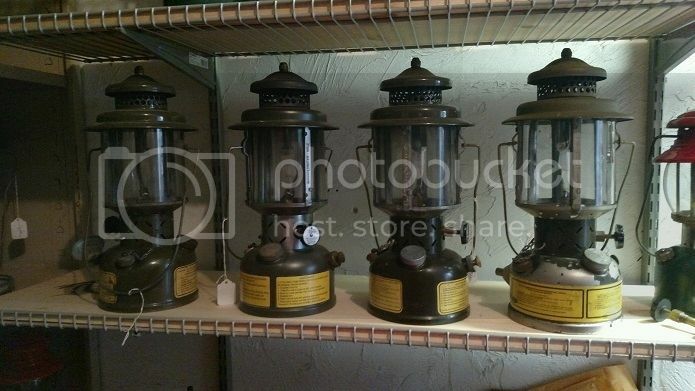 HappyKamper: I'll take # 1948. My Mil Spec is a 1944 that's been sitting on a shelf waiting for new decals for about 20 years. I bought replacements about two months ago from OCP....and promptly misplaced them. I 'll send a photo after I find my camera....that's been gone for a while too. I m in. I will take 088. My wife is a 32 year retired Army 88 Mike and former Army Firefighter. The Mil Spec interest is for her. We only have a 1965 so far. My mom was a marine in WWII so we are looking for a WW II eventually. Phillip, it looks like someone wrestled with your generator, and the generator lost! I'll take 656 if you gents would allow. Yep, 656 if you will. Thanks. I'd like number 122 if available. Has sentimental significance to me. My last LASD badge number. Are you still taking members? If the answer is yes and it is available, I would like 1985. Yeah, I know. I did a bit of customizing to it. Including blueing all the brass. It came with a quadrant globe. 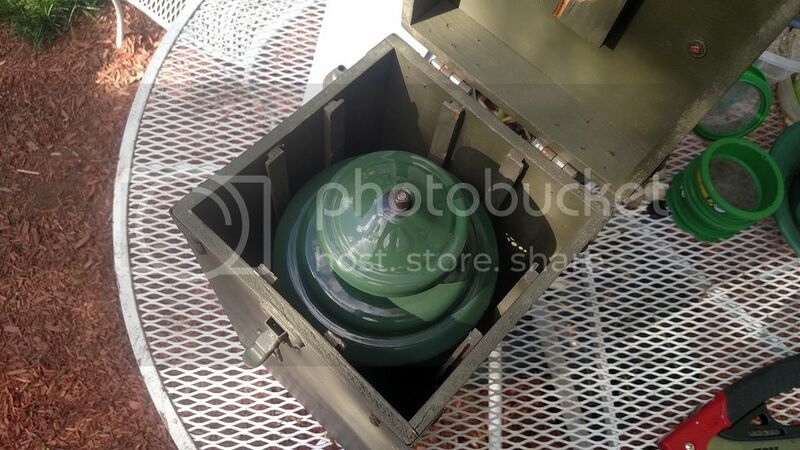 Paint was in bad shape, but the fount was solid. Yanked the incomplete burner assembly and put on a spare double burner. 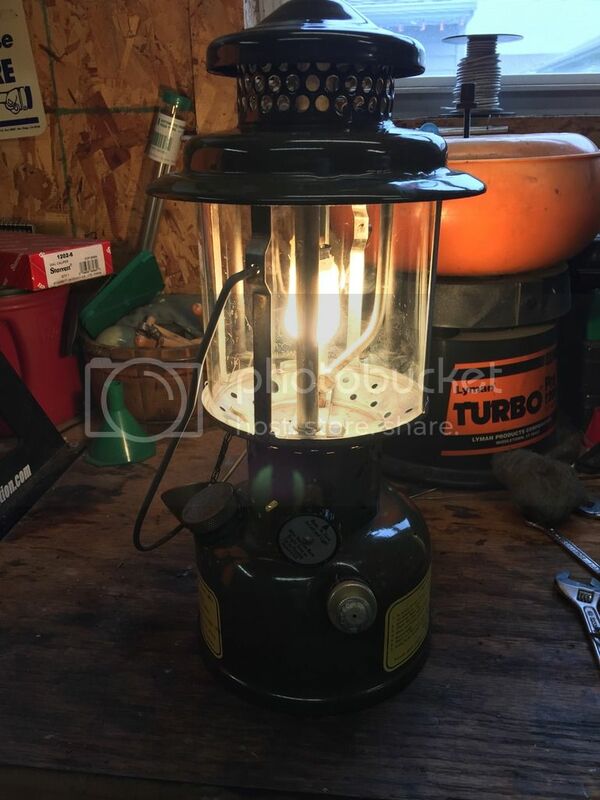 Man this is the best running lantern i have now! 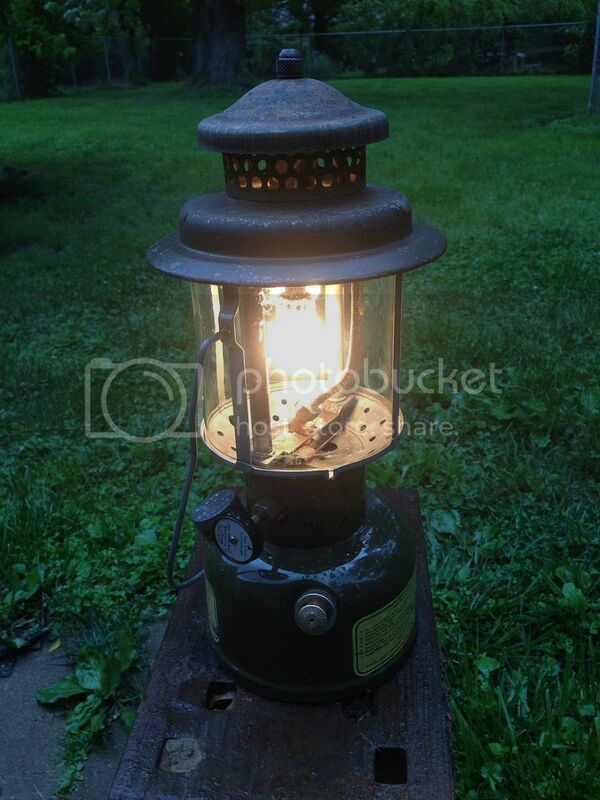 Lights and is burning bright in less than 30 seconds. I'm a happy camper! Looks like #61 is available. Sign me up. Welcome Mckae #0061, Nemo #0066, campinut #1958, diablo45 #5150, and kw12330 #1966! Hello My name is Nemo, I might have a problem. There is no shame in honest wear, let it shine. Count me in! 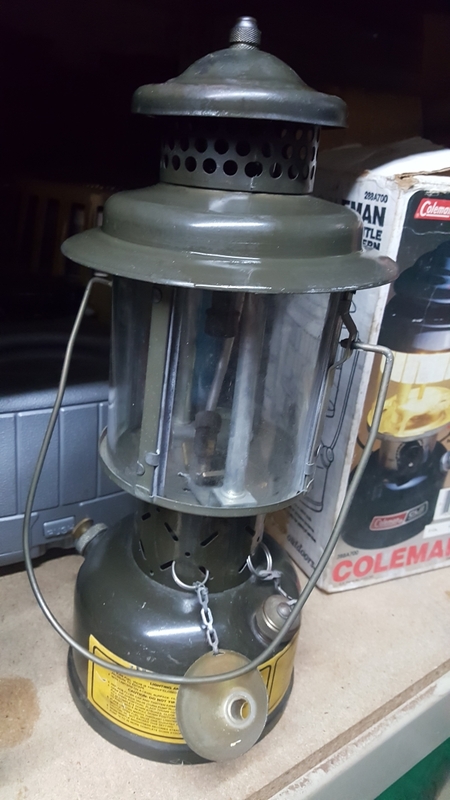 I have a pair of Milspec lanterns, a 1979 SMP and a 1969 Coleman. 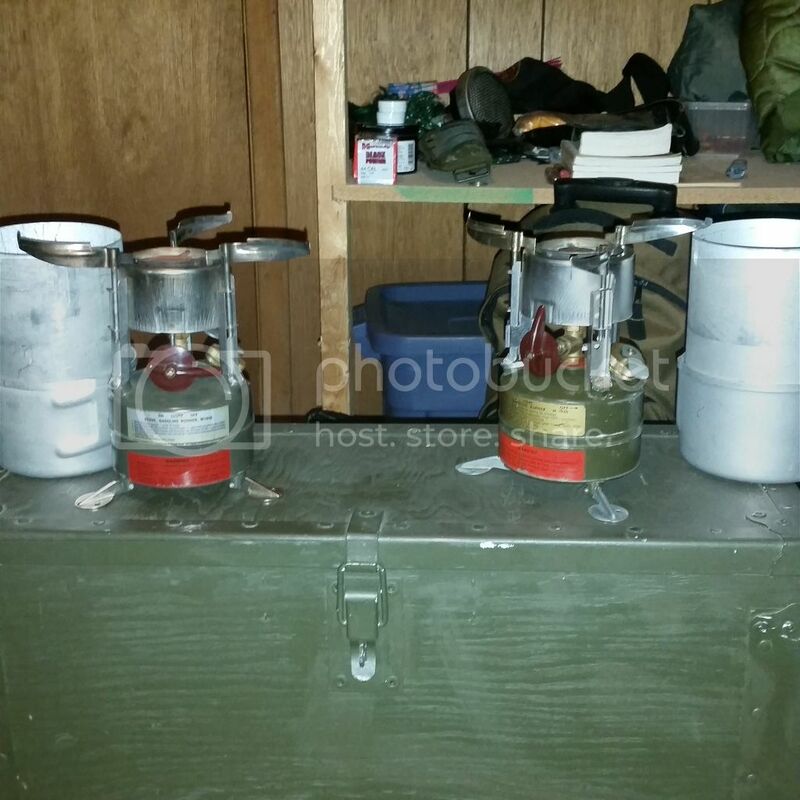 Also a pair of M1950 stoves a 1987 SMP and a 1966 Coleman. I would like number 5150 . I would like no. 1966 please. I would like to be a member of the snydicate. 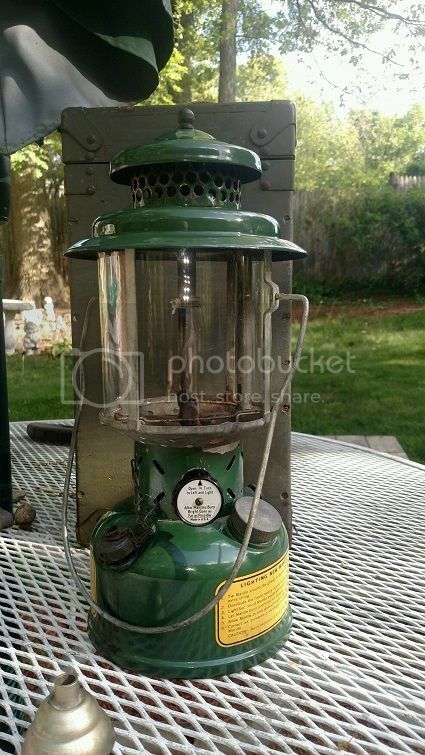 I have a Coleman 1952. Any number will be fine. Please sign me up. Any number will do. Count me in, please. 1974 works for me. Captain Fantastic, reporting for duty, Sir! Name and rank are known, Sir! May I have a number please, Sir! 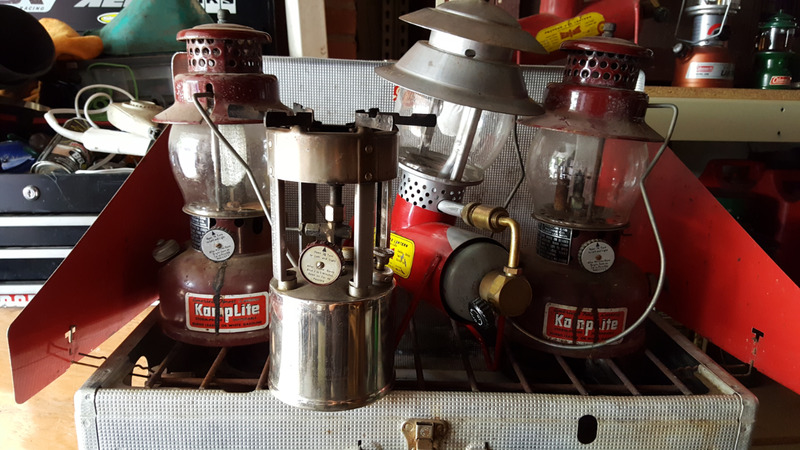 My 1963 Coleman Mil Spec from member kurtruk, shipped all the way to Switzerland. Sir! Marko - looks to me like you're still 520, the table is a bit messed up as displayed here due to word-wrapping in the first column. Copy it into a spreadsheet and fiddle with it, you'll see you're ok.
Is it official? 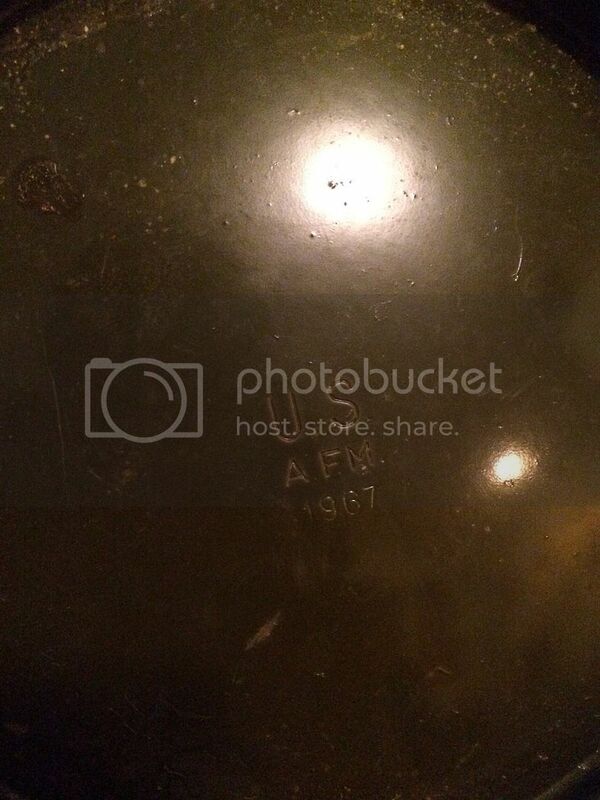 Am I 1974? I have a 1958 Coleman Mil-spec, So I'm in! # please? Maybe 0079 if it's still available. Welcome GaryB #1963, poor n proud #0033, Kuato #0874, thekaguy #1865, daChurchPcGuy #0658, Dragin #0163, and Cavry #0846! I have 4. I'd like # 846. Old enough to know better, Too old to care. I would liek to sing up as well as I have a 1942 530 with a homemade cover and a 1981 fiesta. If it ok I would like a number 1942. Thanks guys. Sorry to correct you, but what you have is not a 530 it is a 520. The 530 is post war production based on the 520 and not army issued. Thank you for letting me know that I have a 520 and not a 530. I appreciate all the knowledge every has here and is willign to share. Thanks again everyone. 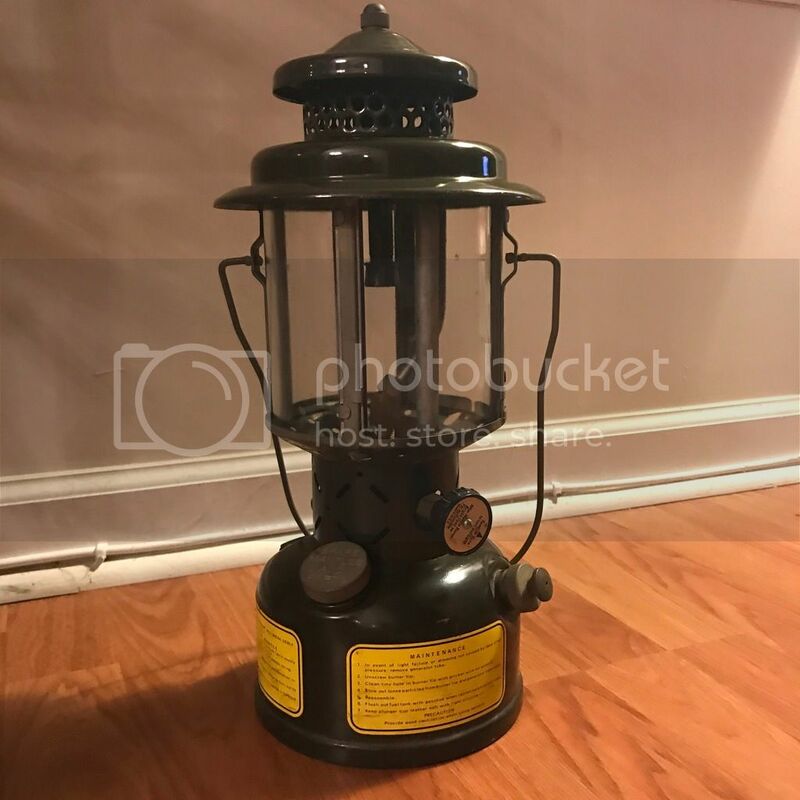 I actualle bought this ata flea market for $45 and I had to heat and loosen the packing on the knob and replace the cap seal and it works fine. I would like a member number of this prestigious group please. Looks like 0101 may be available. I've got a few mil specs rattling around here. This is a picture of my '52. Any number would be fine. Forget the map and the GPS. "I know where we are!!!! Can I have a #? 163 avail? Why didn't you just ask for 41? It's available. 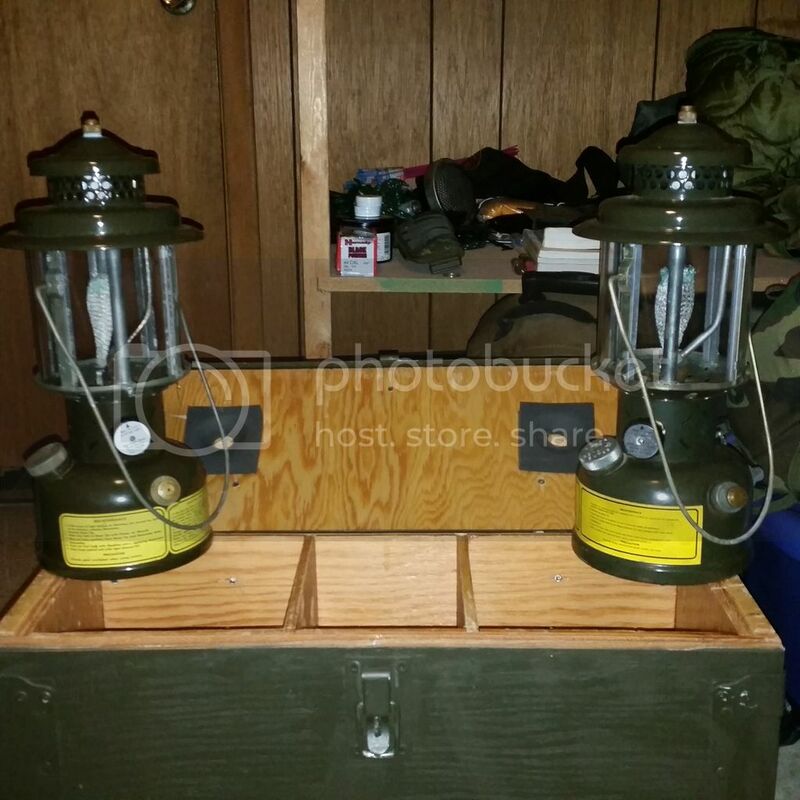 MilSpec Snydicate #0658, Looking for a 5/78 lantern for a friend. May I have 0658 if it's still available? I'm in too! 1865 please! Would love to be part of the syndicate! #0874 would be appreciated. 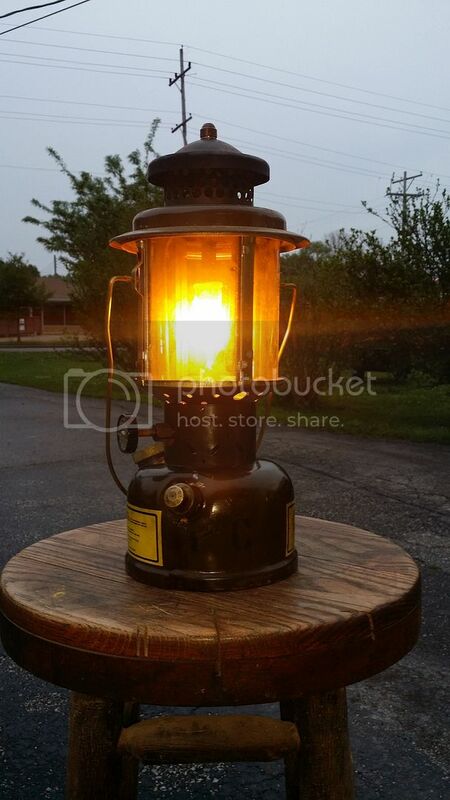 still looking for my bday lantern. Mind if I join you guys with my 1943 520 and make my number 1943 for no particular reason I can think of. Yes, as has happened more than once, people join, get excited, start a new "club" thread, and then drop out. Novelty is short-lived. Well, I'm not dead...yet. I've just been busy for a few days. Can't update the List on mobile. Anyway, it's updated now. And Hi to some new posters! Welcome to The Madness. I would love to join as well. #1172 if available please. Just got this at an auction on Monday. My first one.